Who Uses Boom Buster Nozzles? 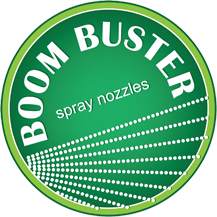 Established in 1984 by inventor, Frank Rabitsch, Evergreen Products has been proud to bring you the proven, unsurpassed quality and durability of Boom Buster nozzles. Our new management team brings this tradition of quality together with a new level of customer service and timely order fulfillment. To place an order or for more information, please contact an authorized Boom Buster distributor near you for assistance in selecting the nozzle that's right for your job. Please see our Where To Buy page for a complete list of authorized dealers. If there is not a dealer in your area, we encourage you to ask your nearest spray center to contact Evergreen Products.